Last year’s inaugural event was the launch of an unprecedented movement in the motoring industry and with a massive audience (and an expected 40% increase this year) the event is certainly shaping up to be one of the most highly anticipated events of the year. 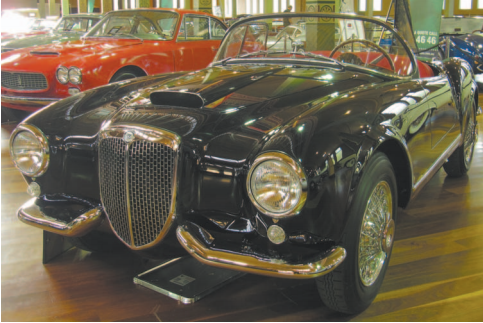 If you are wondering whether the RACV Motorclassica is just about satisfying people who are into classic cars and classic motoring – think again. There are plenty of fun filled activities for all ages, including watching these grand icons roll down the streets of Melbourne in convoy. If you’re looking to take your family it’s a perfect opportunity to ‘picnic with the classics’ and allows everyone a chance to experience these rare and beautiful cars. This year’s special features include 60 Years of Porsche, 125 Years of Mercedes Benz as well as Cars of 1961, a year that many will remember as the birth of a number of important cars, especially the Jaguar XKE or E-Type, which celebrates its 50th birthday this year. And don’t forget to check out the International Concourse D’Elegance which is guaranteed to have some real beauties judging by the exceptional standard from last year. And if you want action and excitement, don’t forget Bonham’s Auction where comedian and radio personality Merrick Watts is selling his iconic Aussie muscle car, a Ford Falcon XAGT.